We’ve changed the look and feel of our newsletter. We hope you love this change as much as we do! In this edition of our newsletter, we have a page dedicated to this year’s Members’ Week, which took place 4th-8th of June. We outline the events that took place during the week and the winners of our 6 major prizes. 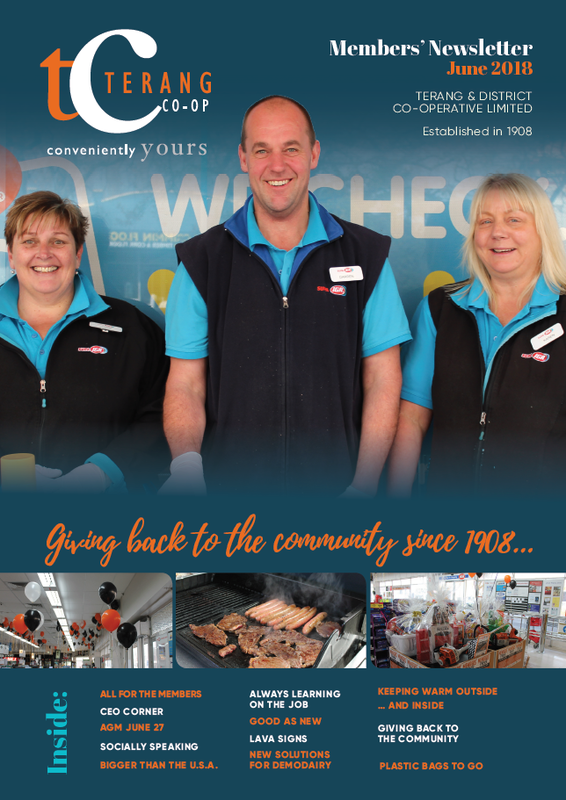 We also have a couple stories on new staff we’ve welcomed to the Co-op, some warm offers at the HOME store, changes to the Supa IGA, and an update on what 360 Dairy Solutions have been up to.